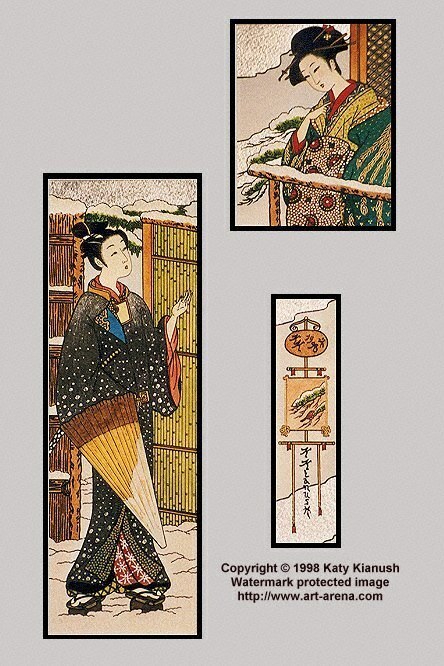 A Japanese maiden greets her lover from the balcony. which together make the whole picture. 1) The lover on the left. 2) The maiden, top right. 3) The artist's signature, bottom right.